The 82351B PCIe-GPIB interface card offers the fast data transfer rate associated with PCIe to support high-bandwidth PC applications, ensuring that data is consistently retained without being overwritten during the transfer to memory. 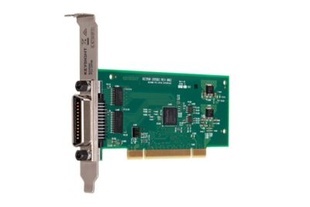 PCIe is the next generation of PCI and offers unsurpassed speed and performance, making PCIe cards an ideal choice for many computer platforms and automation applications. It is full backward compatible with PCI-configured software or coding, removing the need to reconfigure any code. The 82351B is highly flexible with plug-and-play configuration and low profile PC with a bracket change.